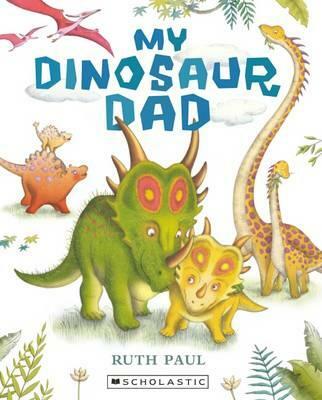 Every Dinosaur in this irresistibly cute book has a Dad who is special in his own unique way. Each sounds different, looks different and moves differently. As the young reader turns each page, the sparse text and vibrant pictures shows this variety of dads. And yet the story builds up to an exciting level until the last two pages provide a conclusion which is both surprising and satisfying. The colourful illustrations show dinosaurs with plenty of personality and other animals alongside them. There is a grumpy tortoise on the whistling dinosaur page who is just delightful. Young children will find this a highly entertaining book, especially dinosaur mad boys (or girls) who may well find similarities with their own dads - prickly, tickly, snoring, tall or hungry! This is a perfect book for fathers to read to their littlies. Perhaps this Father’s Day?